BEIJING REGION AND THE NEW SATELLITE CITIES / the location of the six project districts in the surrounding area of the China capital city. FROM THE DISTRICT TO THE CITY / the journey through the different scales of the project. what does it mean a better city? better city make better life? SHANGHAI EXPO 2010 / pavilions: China, Denmark, United Kingdom, Spain, Geramany, United Emirates. million from the eastern countries and 70 million from China. This number corresponds to the Communist Party members so it is possible to understand that the real aim of the Expo was to show to the Chinese population the new project for China. Looking to the different pavilions, the exposition was an incredible exaltation of the urban life, it was an invitation to urbanization. Moreover, the proper translation of the original Chinese slogan would be “cities make better life” and it is extremely clear that the comparison was with the countryside. China, indeed, is ready to another huge urban transformation and in the next 10-15 years millions of farmers will become workers in the new cities. China is proposing to the world a manufacturing future. “manipulate” the citizens in their perception. It is a way to sell the image of the city to their inhabitants and to hasten this process of urbanisation. “In fact the utopian city has become the collective Chinese dream in the past 15 years, through the promotional propaganda and mega-events of central and local administration aimed at rapid and vast-scale economic developments, especially in building a new society through brand-new or revamped cites.” (Rong 2010) By this the government tries to change China from a productionorientated country into a welfareorientated one. However, the reality of the facts proves that this idea could be an extremely hazardous dream. This essay would focus on the rapid urbanism and how new cities could be fabricated from existing cultural and social habitats of Chinese cities. accelerates. Urban and suburban begin to blur (Mars 2010).” A vast urban area with millions of houses is waiting for the millions of farmers who are planned to be relocated and forced to start a city livelihood. The assumption is that a rural– urban shift will transform poor farmers into industrial and office workers, raising their incomes and creating a massive consumer class. They will get a better life with new apartments and new equipments. But this relocation leads to social and cultural problems to the people who have been farmers for generations with no skills and knowledge of other kind. In this way, the urban and rural relation would disappear and the production of food will be depleted. is a perfect example to show the government decision to transform the district from an agricultural economy into an industrial one. The new proposal neglects the existing fabric of agricultural lands and the existing consumption of the city through the fields. The touristic and multiple-core proposal does not respect the current situation of the district and the identity of the citizens. What would be a better way to structure a new city taking into account the respect of the existing character and people? it mean a better city? HUAIROU DISTRICT / location and relation with Beijing. Main features and distances from the other surrounding main cities. Beijing. The daily reception of tourism and conference is 30.000 persons, while the annual average is 8.6 million people. The leisure attractions range from the Great Wall tours, to theme parks (Primitive Tribe Park, Yanqi Lake Park, Beijing Huairou International Ski Run, Caribbean Lagoon WaterPark) to several golf courses and picking gardens. Spread along the year there are also many festival season linked to agriculture (Flower admiring festival, Maple admiring festival, Autumn picking festival) and some religious celebrations in the Hongluo Temple. The south-east corner is the only flat area in all Huairou and for this reason it is suited for the development of one of the new satellite cities. Huairou New town will be settled between the large reservoir and the edges of the rural area that characterized all the north plan of Beijing. This area, with its dense network or villages, is easily attacked by the huge urban growth that affects the surrounding territories of the capital city. The substitution of these old urban settlements with new urban clusters (especially gated communities with European style houses or tall condominiums) is the most typical transformation of the Chinese landscape in the last years. TOPOGRAPHY / the surface variations of the territory and the runoff of the water along the slopes. WATER BODIES / the three main lakes in the Huairou district. The largest one, the Hauirou Reservoir, is used as resource for the drinking water in Beijing. RURAL VILLAGES AND IRRIGATION CANAL NETWORK / the presence of the rural villages characterized the entire area and well represent the agicultural identity of this district. OLD CITY / the location of the old city is on the right side of the Huairou Reservoir and it is completely divided from the countryside by the presence of the railway and the highway. slogans and numbers, noticing that the great issues bounded to the urban development remain unsolved. The main reason is due to their simplistic way to show the city as a final, complete product when all the people will found a new job in a neat new town and crowd will arrive in the leisure parks. But what will happen between the current situation and the final one? What will happen to the thousand of farmers (and their identity) that will see their houses destroyed in the waiting for a better city life? What will happen to the dry rivers that crisscross the territory and in the masterplan are disingenuously showed blue as they were full of water? What will happen to the agricultural area before its conversion into a generic and homogeneous green belt, in the expectation of a subsequent urban development? What will happen to the existing city before its complete replacement? of 1,000 metres or more from Beijing’s outlying districts. Such policies for taking ever more water and from ever further jurisdictions beyond Beijing may be an emergency measure to ease Beijing’s water shortages and flush out its polluted waterways, but it is not a fundamental solution. Long distance diversion is extraordinarily expensive and environmentally damaging. Even if water is successfully diverted from Hebei province in 2008 and the Yangtze River in 2010, groundwater will continue to be Beijing’s most important water source. The municipality will still need to continue pumping about three billion cubic metres of groundwater annually to keep up with the forecasted growth in demand – that’s 500 million cubic metres more than the annual allowable limit for “safe” extraction of groundwater. With each new project to tap water somewhere else, demand for water only increases, and at an ever greater cost to China’s environment and economy. Whether diverting surface water or digging ever-deeper for groundwater, the underlying solution proposed is like trying to quench thirst by drinking poison. Beijing water average available pro capite per year is 1.000 m3 (1949), 230 m3 (2007), while the international guideline is 1000 m3. Decrease in the average yearly precipition: 1999-2008: 428mm 2008-2010: 585mm 2010: 448mm from 2001 the rainfall average per year has fall of 37% Resources of Beijing water: the total water available per year is 3 to 4.12 billion m3 (2007: 3,25). 1-1.67 billion m3 (0.8 2007) 20-30% comes from reservoirs(dropped 90% from 1950 to 2000), 2-2.45 billion m3 (2.45 2007) 70-80% are groundwater(500 million m3 more than the annual allowable limit) These resources are yearly recharged by precipitation (44%) and seepage of surface water (31%). 550 million tons of grain in 2020, an increase of 50 millions tons from 2007 (for maintain Chinaâ&#x20AC;&#x2122;s population). China is now depending on importation for wheat an rice. The concentration of Pm2.5 (powders produced by cars) makes the quality of the air level in Beijing 173 (in a scale from 0 to 500). This quantity causes loins deseases to everyone. THE EIGHT CHALLENGES OF BEIJING / water, migration, urban growth, mobility, health, waste, food, industrialization and the solutions proposed by the government. It is not possible to avoid the Chinese aim of a radical and deep change but what we can suggest, as designers, is an alternative way, that has to take in consideration many other factors. We are interested in the transitional stages between the current situation and the final one where in Huairou new city will live 830.000 people. We want to apply on our territory a machinic approach. Its main feature is the transformation and the passage between different phases. We are more interested in the journey that produces the new cities than in the final, consolidated status. We want to start a sort of metabolic process that, eating and digesting, grows altering the city and the landscape. This metabolic process takes into account the transition from an agriculture economy to an industrial one and, blending this two opposite situations, it will carry the mutation in the peopleâ&#x20AC;&#x2122;s identity as a strategic issue. During this process the common reduction of open areas in favor to the city growth will be in certain phases inverted due to the understanding that the urban areas and the surrounding territory are different parts of the same organism. Any change in on part will produce an effect on the other in a way of compensation and balance. migration coming from rural area to urban area. The wonderful 19-century parks were actually the initial forms of the concept that landscape guides urban expansion. Prior to the design of the city was defined, these parks made a structure for urban development to follow. Landscape delineated the new edges of the communities to be constructed, and at the same time, the green investment will be instantly paid back by the elevated land value. Urban planning, property development, and the graceful existence of nature were actually well combined, performing as the purest forms of landscape urbanism. Although this sort of concept still seems to be the ideal of landscape urbanism in the contemporary world, however, the basic features that a park requires to survive has been missing in practice. Based on the research of Jane Jacobs, a good context is normally essential for parks to be successful. And numerous urban residents consider the large area of green zones in cities, which almost are located in every single Chinese master plan of suburban area, as beneficial natural background, but additionally as most likely dangerous, and as areas being avoided, as there is simply too little activity and without blending of consumer groups. Alternatively, presented by the concept that the metropolis is benign, the capability of green zones is definitely over estimated. And this inherited logic of development has received worrying results in the current period of time, because the fact is that the metropolis is really an insatiable user of resources that urban areas consume rural landscapes. Thus, in such a progressively urbanized world, it is time to establish a new system for a better relationship between city and nature, especially in developing countries such like China, where rapid urbanism is ongoing throughout its territories, transforming the countryside into the new urban area during the shortest time. a milder, more mutual, and more responsible attitude when it comes to nature. urban infrastructural systems can perform a diverse position that actively makes a contribution to the enhancement of city life. The incorporation of the infrastructure system inside the landscape structure demands one to redefine the previous system inside a new set of paradigms, which is more aligned to ecological nature systems. In terms of this, landscape turn into the medium through which all ecological transactions need to perform as infrastructure, guaranteeing to align ecological and social issues with logistical and instrumental systems in ways of nature. Landscape can be explained as infrastructure for our collective presence that landscape infrastructure comes prior to the expansion of urban areas, permitting and then keeping development. And it is even the very last thing remaining after metropolitan areas decline, when the systems are not necessary to support shrinking neighborhoods any longer. The modern city is really a huge organization with a significant and incredibly complicated metabolism. Aside from infrastructure, the urban area is almost never amenable to planning. Transformations are relying mostly on small scale regional interventions, and recycling of industrial areas happens to be the significant trend during city innovation. Inside the system of landscape urbanism, infrastructure provides the next phase for further inquiry since the economic and development future of a city is in direct proportion to the capability to gather, exchange, distribute products or services, resources, and people throughout large territories. Infrastructure can be described as ligament that liable to bring together different components, instilling cohesion and also objective. And our cities require this sort of infrastructural approach that extends beyond identified borders and links numerous areas to other areas, people to sites, neighborhoods to neighborhoods, people to people, the nature to the city, and the city to the nature. natural environment performed a vital position in locating the key axes and main structures of urban area, and processes that supports current urban economies and work as a form of hybrid infrastructure, engaging and redefining infrastructure in the context of potential expansion in our towns and cities. POCKET SCENARIO / the current situation is characterized by a division of the different parts of the territory, resutling in a dramatic waste of water. POTENTIAL SCENARIO / an intelligent cycle in order to link the water use (and reuse) to the food production. WATER PROJECT CICLE / the water role as a link between the urban environment and the countryside. Quantities of waste water producted in the city and water requirements for irrigation. The first mechanism of our process is to give back an economic value to the agricultural area that surrounds the city. This will be possible bounding it strictly to the city life and the needs of the citizens. The installation of a zero km market perfectly links the urban area with the production of the necessary food. The marketâ&#x20AC;&#x2122;s structure needs a certain distribution of the spaces and a precise quantity of fields (linked to the number of people to feed) and infrastructures (roads for the movement of the goods and canals for irrigation and drainage). This creates a sequence of spaces that has the power to reorganize and re-structure the territory, assigning a new hierarchy and offering an interesting frame for the next urban development. The second mechanism of the process is the possibility to collect the waste water of the city, clean, and use in order to cultivate the fields in a intelligent cycle. The quantity of the waste water (with the rain water) is enough to irrigate a large part of the fields, satisfying the 72% of the annual need of food. As an important corollary, the previous two cycles need a precise number of people to let them properly work. In this way a large part of the population would have the possibility to continue to work as farmers in a more profitable and direct way. Meanwhile, the new generation will found a new job and new opportunities in the development of the new urban areas. The zero kilometer market strategy has the variation in time as an essential characteristic. In fact, if the production of food is linked to the population and the available land in the district, is extremely clear that the territory would produce enough food only for a certain period of time and for a precise number of people. In this way is possible to determine four different phases between the current situation and the final one when in Huairou new city will live 830.000 people. Each of these phases has a precise ratio between the urban growth and the development of the agriculture fields. In the first two it will be possible to feed all the population while in the third one the cultivation techniques will be more intensive (greenhouses). The final phase will be characterized by the development of the industrial economy and the consolidation of the urban growth, while the vertical farming will continue to feed the population. These more sophisticated techniques need less water for the cultivation so, in the final phases it will be possible to use the extra cleaned water to start to refill the main water streams. MACHINE N째1 / detailed diagram to describe the relations between the different parts of the system and their numerical ratio. The building of new urban cores in front of the old city will create the extremes for a tension line, along it will happen the main transformation of our metabolic process. The production of this movement, starting with the water harvesting in the old city, will innervate the new agricultural pattern, feeding the population. The new city will grow along the spine and its intensity will slowly affect the structure of the old city. The enlargement of the new organism produces a reduction in the old one. When it will produce enough water to cultivate their own fields, the old area will be â&#x20AC;&#x153;eatenâ&#x20AC;? by the rural area. The last step of the process will present a linear structure bounding the lake to rivers, through the connection between the ruins of the old city and the new urban spine. and are divided in separated collection of black water and organic kitchen waste, No Mix technology (collection of urine) and the local treatment and reuse of grey water. Blackwater and organic kitchen waste Although human waste is just 1 to 2 percent of the total waste volume, the majority of the nutrients, human pathogens, endocrine disrupting substances and medicines are submitted from this. By collection the black water separately and to use less or no flush water in the toilets, nutrients and pharmaceutical residues remain concentrated. This creates the possibility of efficient processing, energy extraction and possible re-use of fertilizers. In concentrated form, black water is a potential fertilizer, like it has been used in the past. Besides that the organic substance in black water represents a certain amount of energy, which can, in combination with organic kitchen waste, be extracted with fermentation as methane gas. WASTE CICLE / the journey of the household wastes from the production, through the collection, the treatment and the final re-use. In a normal toilet (Water Closet) the black water will be diluted with 6 to 9 litres flush water in each flush. This is been used to clean the toilet and to make the transportation in the ‘free decay tubes’ possible. To reach an efficient treatment of black water the use of flush water has to be reduced. Special toilets can be used; vacuum toilets, ‘low flush’ toilets and composting toilets. A disadvantage of this is that the gravities wastewater transport system cannot be used. The use of a pressurebased system is necessary, with vacuum sewers or pressure pipes. There are multiple concepts for separated collection and treatment of black water. In Germany there are a couple of examples where composting toilets were implemented. The collected material has been composted in house or building scale. There are also examples were toilets with an extremely low flush water have bin used. An other possibility is a vacuum toilet, where black water separated has been collected. In the houses are vacuum toilets installed, the black water has been transported to a vacuum station with vacuum sewages. Local treatment of grey water The volume of grey water is more then 70% of the household wastewater. An important advantage of the separated treatment of grey water is the fact that grey water has a lower concentration of nutrients what makes it easier to treat. By the local treatment of grey water a new local water source has been created. There is in particular a lot of experience in the use of helophyte filters for grey water treatment. The treated water has been discharged in the most cases in an urban water feature. In areas with water scarcity the water can be used for hydration. A helophyte filter consist of a waterproof membrane that is filled with reed plants and a filter substrate. In the filter are taking place biological, physical and chemical processes, where waste are being broke down and converted. The wastewater has been intermittent to the filter in a frequency of 2-4 times per day by using an influent pump. Space requirements of the filters are quite high (2 to 4 m2 per resident). This can be a disadvantage in urban areas. Architect who have been involved in grey water project indicates that by a good integration of the helophyte filters in the urban design there are almost no extra cost by the treatment and reuse. FREE-SURFACE CONSTRUCTED WETLAND The wetland is flooded with wastewater to a depth of 10 to 45 cm above ground level. Pre-treated wastewater (from septic tank or biogas settler) enters the basin via a weir or a distribution pipe. This system is appropriate for small sections of urban areas or for periurban and rural communities because of the land surface required. HORIZONTAL FLOW CONSTRUCTED WETLAND Pre-treated wastewater (septic tank or imhoff tank) flows slowly through the porous filter medium (sand or gravel) under the surface of the bed in a horizontal path until it reaches the outlet zone. The water level is maintained at 5 to 15 cm below the surface to ensure subsurface flow. VERTICAL FLOW CONSTRUCTED WETLAND Pre-treated wastewater is distributed over the filter surface and drains vertically through the filter layers towards a drainage system at the bottom. The drainage pipes are covered with gravel. On top of this gravel is a sand layer (40-80 cm) which contains the actual filter bed. On top of the sand layer there is another gravel layer (10 cm), in order to avoid water accumulating on the surface. INTEGRATED PONDS Systems based on a series of four advanced ponds: (1) An advanced facultative ponds (AFP) containing a digester pit, which functions much like an anaerobic pond; (2) a high rate pond (HRP) covered with algae, similar to the facultative pond; (3) an algal settling pond (ASP); (4) and finally a maturation pond (MP) for solar disinfection and pathogen abatement. AQUACULTURE (PLANTS) Two different methods: ‘Hydroponics’ where the cultivated plants are grown with plant roots directly exposed to water; and ‘floating plant ponds’ a modified maturation pond with floating (macrophyte) plants where plants float on the surface while the roots hang down into the water to uptake nutrients and filter the water that flows by. AQUACULTURE (ANIMALS) Fish can be grown in ponds where they feed on algae and other organisms in the nutrient-rich water. Through feeding, the nutrients form the wastewater are removed and the fish are eventually harvested for consumption. (1) fertilisation of fish ponds with excreta/faecal sludge; (2) fertilisation of fish ponds with effluents; and (3) fish grown directly in aerobic ponds. SEPTIC TANK Underground watertight chamber. Septic tanks are primary treatment methods, and the only moderately treated effluent is infiltrated into the ground or transported via a sewer. Accumualating faecal sudge needs to be dug out the chamber and correctly disposed regularly. Septic tanks are used for wastewater with a high content of settleable solids. IMHOFF TANK Similar to communal septic tanks. They consist of a top compartment, which serves as a settling basin, and a lower compartment in which the settled solids are anaerobically stabilised. This process generates biogas. Imhoff tanks are used by small communities and due to the underground construction, land use is very limited. Investment costs are low and operation and maintenance simple. WATER PURIFICATION PONDS / different techniques and their main facts. that use the fertilizing value of wastewater. Various examples show that wetlands have a large potential in producing biomass. In such a multi-functional approach, wastewater treatment might even become an economic activity that creates income and reduces or covers the cost of wastewater treatment. By calculating the individual capacity of the chosen water cleaning systems (septic tank and wetlands), we can use and recalculate it easy and quick for the project. In the concept of separated collection and treatment of black, urine and grey water can be designed a total system. Different studies are showing that the scale should be minimal of 2000 to 5000 persons to be economical interesting. In order to treat the greay water is needed the combination of all the three different system, both primary and secondary, while for the storm water is only needed the use of the two secondary treatment. when compared to rural areas due to several sources of pollution, such as chemical toxins in water used for irrigation, and restricted fields location, causing farmers to make use of extra fertilizers and inorganic pesticides, the proximity of producing locations to urban marketplaces offers them with advantages of easier high quality management. Factors apart from distance also provide strengths to urban agriculture. Additionally, compared to rural areas, farmers are encouraged to make money all year round from small fields for being able to obtain food and guarantee a common livelihood, whilst in rural areas some area can be arranged for subsistence food production. This explains the reason why urban agriculture products will probably become less seasonal than rural ones, which may be an important aspect for promising food security in urban areas. FOOD REQUIRENMENT / the quantity of food needed yearly per person in China. We are interested in the goods that are possible to be cultivated in the surroundig areas of the city. needed for the daily life of Chinese people. And together with the numbers of people who will work and live in the urban area, the total quantities of necessary food to cater the whole population of the city every year and the area of land in order to produce such quantities of agricultural products can be more or less calculated. And these numbers can be used as the basis for the planning of a self-sufficient city, while different types of agricultural fields can be planned in proportion to the various percentages of agricultural products that is required by the citizens. If take the features of urban agriculture, characteristics of specific territory and also the economic factor into consideration, only a few types of agricultural products will be produced inside the urban area in reality. In this case, the agricultural lands to be planned will include fields of cereal, vegetables, fruits as well as greenhouses, which can offer 70% product for the city itself if concerning the area of available land as well as the water shortage issue of Beijing. FIELDS DIMENSIONS / optimal fields dimension for the different cultivations and the surface required to produce the entire quantity of food for the new city. water use in 2.5 km2 WATER NEED / the quantity of water required by the different cultivations per year. IRRIGATION SYSTEM / the optimal irrigation typology for the different cultivations selected with the purpose to save as much water as possible. IRRIGATION STRUCTURES / different possibilities for the design of the irrigation and the drainage system of the fieldsw. commonly associated with higher uniformity of application but result in increasing potential for runoff losses. Drip irrigation is characterized by the slow and accurate application of water to irrigate plants. Drip systems are composed of a network of tubes and emitters that let water to drip straight to plant roots at low volumes. Drip systems are often connected to cisterns and grey water diversion systems and incorporate filtering mechanisms to help keep debris from clogging the emitters. The potential irrigation efficiency for drip systems is fairly high, which ranges around 90%. They also consume approximately half as much water as sprinklers. Micro-irrigation emits water at gallons per hour versus other watering systems that discharge water at gallons per minute. Continual maintenance is essential to realize maximum water efficiency. This system of irrigation reduces water loss from canopy interception, wind drift, and evaporation. The previous two chapters summerise the long research that has benn done in order to create a solid base of knowledge to apply into the design process. The understanding of the operation mode of the systems to treat the water and the waste of the city in order to re-use them in the fields and the systems to optimise the agricultural production are fundamental to elaborate a project that takes in consideration the real instances of the territories. In this way it easy to understand the importance of the numbers and all the ratios and requirements necessary to design the new development as a complex system formed by several parts that have to work simultaneously. A machine that would link the city with the fields through the re-use of the water and the production of the food for the citizens. This set of rules is the starting point to plan the territory, looking for links that are not visible but embedded in the ground and in the landscape. The purpose to place the treatments of the water in specific points inside the city for a better distribution in the fields and the subsequent collection of the goods along the same infrastructural network, creates a basic radial stucture that innervate the territory. Inside the old Huairou city we have recognised three main cores with already existing public facilities and commercial areas. They are connected to an average of 35.000 people (one third of the city population) and they would become the places to locate the water treatment ponds and the zero kilometers markets. The new water features would enrich the urban environment while distributing the cleaned water in the fields. Along the irrigation infrastructural network would also happen the collection of the goods along the fields and their distribution inside the city. zero km market fields distribution 72 fields area ZERO KM MARKET FIELDS DISTRIBUTION / basic radial fields structure around one of the public cores inside the old city. It is recognisible the farms required and the necessary fields surface. ALTERATION OF THE GEOMETRY / concentration of the farms and reorganization of the fields because of the impossibility to find available agricultural land all around the city core. ORGANIZING THE SYSTEM / the presence of a second market core for the new urban development will deform the radial structure, redistributing the fields in the surrounding available areas. location and distribution of the different cultivations: closer to the irrigation network vegetables and fruits due to their higher water requirement, crops along the drainage canals. FIELDS MAIN STRUCTURE / water distribution as the basic device to organize the agricultural area. 300 m as an optimal size for the fields and the necessary branching in the irrigation network in order to cover all the surface. FIELDS SECONDARY STRUCTURE / organization of the little soil parcels in order to perfectly settle the different cultivations. The spine is the tension line where happens the main transformations of the metabolic system. This structure changes its features according to the environment that cross: through the old city it is a linear public space characterized by the purification ponds and also offers a proper position for the zero kilometer market. This section of the spine creates its developing space between the old hutongs and the recent high rise buildings, enriching the former public spaces. At the edge of the old city the spine is dominated by the presence of greenhouses and orchards that will also become touristic attractions. In the proximity of the highway and the railway it raises in order to allow a smooth passage to water and people. This part of the structure houses the main industrial core where all the goods from the agricultural area are collected to be transformed and packed. The next part of the spine is characterized by the presence of the core of the new urban development. In this area it will become the main green area facing the different neighboroughs and the place for the collection and treatment of the storm water. Applying the Machine n째1 (pag.52-53) with its ratios and numerical links between parts is possible to understand that would begin a process that through different steps along the time will change the territory. The starting point is placed in the old city (market and purification ponds) and from this would irradiate along the spine through the landscape, reaching the location of the new city. phase 0 ... current situation old city: mixed neighboroughs of old hutongs and high rise building of the â&#x20AC;&#x2DC;70. 1 rural area: rural villages spread in the territory and little patches of fields in the surrounding area. phase 1 old city: collection of the waste installation of the purification ponds. 1 rural area: development of the new fields structure, the water for irrigation arrives from the ponds in the old city. new city: building of the main infrastructures for the new city and first buildings. phase 2 old city: collection of the waste and rain water. Demolition of a stripe of buildings between the hutong and the high rise buildings in order to allow the installation of the market spine (new public area) 1 rural area: 100% of the fields area for the feeding of the old city. The food will be collected in the central spine. new city: collection of the waste and rain water and instalation of the purification ponds. 2 rural area: first development of the fields for the new city. phase 3 old city: final demolition of the old villages and building of the new city cores. Expansion of the green area between the â&#x20AC;&#x153;ruinsâ&#x20AC;? of the high rise buildings. 1 rural area: reduction of the agricultural area and further intensification in the buildings along the spine. Introduction of industrial areas between the spine and the villages. new city: maximum extension and consolidation of the linear structure. 2 rural area: final development of the fields. LOCATION PARAMETHERS / the available areas, the main road junctions and the proximity to the water bodies as devices to set the more suitable locations for the development of the new city. LOCATION OF THE CITIES CORES / the position of the cores inside the old city (position of the zero km market and the water treatment ponds) and the location of the ones for the new urban development. Between these two extremes the central spines. RADIAL DISTRIBUTION OF THE FIELDS / application on the site of the radial basic structure of the fields. The presence of the new urban cores split in two areas the agricultural surface around the central spine. DEFORMATION OF THE DIAGRAM / the previous basic diagram is deformed and informed by the existing lines of the territories: water canals, roads an villages. THE METABOLIC MASTERPLAN / the district scale application of the strategy: the three distribution cores in the old and new city, the central spines and the fields organization. THE RURAL ENVIRONMENT / the new organization of the agricultural area through the insertion of the water infrastructure. The former canals frame is partially re-used inside the new network and in this way these old lines will become again an active element oof te landscape. let the machine take control! The concept of the mixed and overlapped functions condensed into one vertical built organism is a recurrent strategy along the history of the city planning. The integration, on different levels, between buildings and infrastructures seems to be the ultimate solution for the cities in the eras of machines. This specific urban typology has been the highly rational product of times characterized by strong central powers, a former disorganized urban environments and infrastructural issues. The examples from the past and the understanding of their common aspects, make reasonable the application of this model in the contemporary China. LEONARDOâ&#x20AC;&#x2122;S IDEAL CITY / original drawings and model. The different layers of the city and their integration through the complex system of stairs. functionality inside the overall system. From this point of view it is clear that Leonardo believed that was not important a precise definition of the architectural details and the aspect of the buildings, but their role inside the city organism. He was, indeed, one of the first to consider the beauty of the city as a result of its perfect functionality and not only as a summation of beautiful buildings. as two different cities overlapped: on the lower level the business with the car traffic while on the top the residential buildings with the pedestrian movement. The High Rise City was formed by a rational distribution of 9.000 people urban blocks of 100 meters per 600 meters, with a five storeys service platform for the offices and the work spaces (courtyard typology) and fifteen storeys of residential linear buildings. This top part of the block had to be smaller to allow the insertion of pathways of 10 meters width to connect the different fabrics. The vertical connection between the levels was the crucial point and Hilberseimer planned a system of stairs, elevators and common services every 100 meters. Also in this case the focus of the project was the functionality of the city, its diagrammatic organization scheme that allowed a perfect integration of the infrastructural networks with the people living spaces. Common ground The analysis of the shared aspects of these two projects is of the highest importance in order to understand how certain proposals and solutions are still relevant and useful in our time. Leonardo’s and Hilberseimer’s work not only share a typological urban solution but a political and social background with similar characteristics of contemporary situations. HILBERSEIMER’S HIGH RISE CITY / the rational city environment through his perspective sections. in the same way and solved using the same instruments. A radical urbanism approach emerged, considering the city as a complex mechanism where every single part had to play its precise role. Both Leonardo and Hilberseimer understood and rationalized the complexity of reality by focusing in scientific research methods and setting the parameters for an abstract model for planning the city. BEIJING’S CONTEMPORARY CITYSCAPE / crossing infrastructures in a misty atmosphere. be their position and their relation with the other parts that create the urban environment. Are they only huge grey boxes to forget in an anonymous part of the territory? Regarding industrial principles as the base of that society and also of the city, these major production principles could be the protagonists of a new urban planning. It would be possible to add a new lower layer to Leonardo’s and Hilberseimer’s proposal, considering industries as a large platform for the next urban development. The service platform, dense of infrastructures of the previous examples, could be implemented and enriched by the insertion of industrial areas. This would optimize the distribution of the goods inside the city, reducing the transportation and the overall movement. A shared infrastructural stem for the collection and the treatment of the water and the waste would be the place where the different levels are connected and it will become the core location for the large public spaces. As in the industrial production processes, the key point of this urban proposal is not just each single part but the relation between parts of the city and the territory, and how they would perform together into an organization system able to adapt to different conditions in the time. The city would be the ultimate product in the intensification (densification and re-iteration) of the landscape infrastructures. How start to design a new city? Which urban typology would be the most suitable to address the features of the territory? Which suggestions are possible to take from past example? Could the political and social situation of a country indicate a urban morfology? The previous essay explores these issues looking to the higly representative examples of the Ideal City project of Leonardo da Vinci and the High Rise City project of Hiberseimer. These two cases suggest a precise urban typology to the challenges in the development of new cities in the contemporary China. The multi-layered, condensed city is the device in the era of the machines when a strong central power needs a higly rational answer. The overlapping of different functions and layers in the city environment would be a great attempt to solve issues as the traffic, the movement of people and even more important the consumption of the ground. Moreover this typology would offer the opportunity to have one integrated and shared core of infrastrutures for the collection and the treatment of the wastes of the city. In this way the city would be seen as an active organism that instead of only consuming energies would also produce valauable elements for its sourrouding areas. Having as a base of the project the water cicle and the food production, the condensed urban typology perfectly fits the balance between the urban development and the will to maintain the agricultural area as larger as possible. It is also interesting to note that this solution offer the possibility to place the industrial areas in the bottom layer, strictly linking them to the infrastructure cores. This would be a stimulating start to address the problem of the large industrial parks, considering them as an integrated part of the city life and not only as a neglected neighborough in the farest parts of the city. The next chart illustrates the transformation stages between the contemporary situation and the 2030 when should be reached the previsions of the masterplan. Focusing on one of the spine we can precisely test the impact of our strategy. It is importatn to note the people growth in the different part of the territory (old city, rural area and new city) and their movement between them. The market strategy with its link between the city and the agricultural areas through the food production would be so effective that in the end of the process, when the urban development will reach its maximum, most of the people could continue to work as farmers and preserve their identity. surface. The central spine will collect and tranform all the food and re-distributed in the city. The technical researches about the collection of the waste inside the city suggest that is necessary to divide the city surface in smaller parts in order to make the system effective and economical valuable. It is clear that this size would be linked to the number of people that live inside and to the waste that they produce. This sort of urban â&#x20AC;&#x153;islandsâ&#x20AC;? would have and average size of 0,36 square kilometers with a population of 5000 people. For this reason inside this machine diagram the two urban areas are shown in seven different parts with their own infrastructural core to collect and treat the waste. In the same way the rural villages are divided and distributed according to the quantity of fields that the people that live inside can cultivate. The different agricultural patches (according to the different cultivations: crops, vegetables, fruits and green-houses for vegetables and fruits) act as the engines in our machine, fueled by the cleaned water that arrives from the cities, they produce the food that is first collected in the warehouses inside the villages and then moved to the industries inside the central spine. PRINCIPLE OF THE COLLECTION OF THE WASTE WATER IN THE OLD CITY / the rain and grey water will be collected in each neighbourhood with his own system. The water collection and treatment will be applied in islands of 5000 people. Each island will have his onw system based on the principle shown above. The city will have three spines, one primairy spine and two secondairy spines, to collect and treat the water and with each an distribution point for the irrigation. The rain water will be collected along the main spine in the city. This will become the open space with public facitlities. The grey water is been collected in an secondary spine what will connected all the different neihbourhoods individually. the branches system for the harvesting of the waste water through the available open space. Knowing that the required surface of one urban â&#x20AC;&#x153;islandâ&#x20AC;? is 0.36 square kilometer and that the maximum field size is 300 meters, the basic neighborhood would have and estimated extension of 1 kilometer. In this way the part that will forme the new city will have a linear development, perfectly fitting the linear structure of the fields. PRINCIPLE OF THE COLLECTION OF THE WASTE WATER IN THE NEW CITY/ the main spine in the island collecteds the grey water and transports the rain water to the rain water pond. distribution point secondairy spine WATER TREATMENT SYSTEM IN THE NEW CITY/ all the neighbourhoods are connected to the primairy and secondairy spine. SPINE AREA / the studio area for the application of the market strategy. It is possible to recognize one of the cores in the old city (water treatment main point and zero km market) and the selected area for the new urban development as a second point in the tension line rapresented by the central spine. The main spine in the city is the starting point of the new development. By knowing the basic elements of the new neigbourhood we can start to understand a phasing, the “island” will start to grow along the spine and will extend along his rail (main spine). By using a basic rule about the relation between the different “ilands” along the spine, we can start to draw a system. The rule is based on walking distances between the ponds. The ponds will become the open space and public area along the spine. Every 550 meter a new pond and thus island will start to grow, what will result in a sequence of open spaces along the spine. The grey water pond is like the rain water pond related to the walking distance of 550 meter. In this way the grey water pond will become the centre of the neighbourhood. FIRST PHASE / the first development will start at the intersection of the main spine and the existing infrastructure, along the field structure. 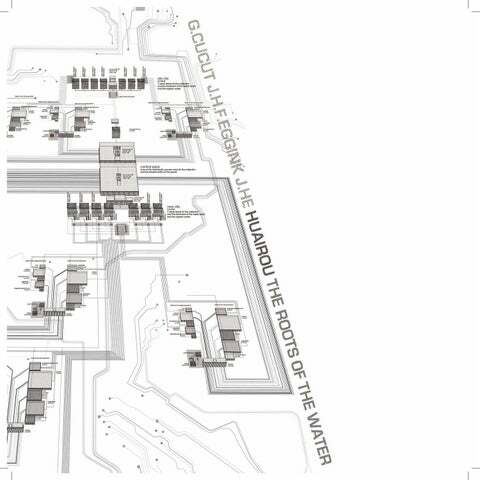 WATER HARVESTING STRUCTURES AND DESIGN OF THE NEW CITY / the diagrams show the geometrical rules that are at the base for the design of the structure for the collection and treatment of the waste water in the new city. These infrastructural lines are the first step and the base for the further urban planning. SECOND PHASE / During the second fase the city will start to grow along this spine and a system of ponds will apear. SECOND PHASE / When all the neighbourhoods are placed the urban density will increase with cummercial cores along the spine. The water network provides rainwater storage capacity for the city and also collects wastewater for treatment in different ponds based on natural cleansing systems. Urban corridors and greenbelts line or cross the network of rivers and canals. These designed greenbelts incorporate wetlands and bioswales, forming a system for urban runoff filtration. The proposed water network links directly to the existing rivers and canals system. And it can define the various areas of Huairou new city and encourage recreational use as well as educational interpretation for urban life. WATER INFRASTRUCTURE / the drawing shows the structure of the water network that its complexity: the collection of the rain and grey water inside the old and the new city and its treatment in the specific points along the main green spaces, the distribution of the cleaned water from three main hubs placed along the edge of the urban area, the branching irrigation system and the drainage canals in between. The proposed fields of urban agriculture are distributed around urban area and act as a food source for urban residents in terms of self-sufficient. The quantities of different agricultural fields depend on the population it will cater inside the urban area. And the locations of various agricultural fields are decided by the size of available land, the distribution of water, and also current surrounding conditions. The fields to supply fresh products like fruits and vegetables that will consume more water will be located closer to the water systems, whilst fields for cereal which is more bulky and much easier to be stored will be planned near the roads and warehouses. FIELDS DISTRIBUTION / division of the fields in the all spine area in the last phase of the urban development. The drawing shows the water distribution hubs and the fields surface that each of those can irrigate. Then this total amount of water is divided to satysfied the necessities of the different fields knowing the water need for the cultivation types and their surface requirements. The circulation diagram shows a map of various means of transportation which run through the city. And the network of transportation offers an opportunity for incorporating different urban functions. A monorail and freeways connect different main urban areas of Huairou new city together and towards central Beijing city, offering the regional connections. While inner transportation following the rivers, canals, and boulevard corridors, provides local connections. The water distribution diagram illustrates how the proposed water distribution system works and provides certain quantity of water for agricultural irrigation. Wastewater and rainwater throughout the whole city are collected for treatment and will be redistributed as part of irrigation water. And as the city grows, more waste water will be produced and less water will be needed for irrigation thanks to the introduction high- tech agriculture, extra water will be used to recharge the dry river across the urban area. The food distribution diagram shows the distribution of self-sufficient food in urban agriculture, including the food for the citizens and the agricultural product for villagers themselves. Food produced in the fields will be collected and transported to the nearest warehouses inside villages for storage, and some of the products with high value-added such like fruits will be sent the industry area for processing and package. THE GREEN SPINE / the concentration of the water treatments along the central part of the new city creates an attractive urban environment, facing the cores of the different neighborhoods. the meaning of the central spine is not only its importance as a piece of infrastructure but because of its role to condense the city life. Learning from the traditional Chinese urban environment, there are no squares or plazas, but linear public spaces that change their characteristics according to the surrounding areas. URBAN REQUIREMENTS / the chinese masterplan numbers about the quantities of the different functions that have to be placed inside the new urban development. How distribute them? MACHINE N째3 / the standard chinese distribution of the population: the diagram shows the links between the different elements of the production system referred to the population of one city. The design for the new city took inspiration from agricultural field and infrastructure pattern within the territory. The concept was translated into a framework for individual islands, comprised of multiple urban functional neighborhoods adjoined by a series of greenbelts, water corridors, ponds, and wetlands. Regional connectivity was achieved through intercity rail, in addition to existing local rail system and freeway connections. And this network of transit provides a strategy for integrating housing, commercial, and industry into a more harmonious connection with the natural environment. Interconnected transportation expands the local industries, which related to agricultural products, and offers opportunities to reduce traffic, while promoting a vibrant, dense, and efficient place to live. The strategy for land utilization maximizes the social and economic value of Huairou new city, while expanding its ecological potential. The master plan divides the city into districts that include civic center, financial center, office campus, high-tech industry research campus, and resort. Within these districts, individual islands are developed with residential, industrial, commercial, and cultural uses. Smaller city blocks promote a more intimate and human-oriented environment, contrast with much of the proposed development in China that tends to anticipate heavy traffic and expedient development. And aside from providing a more walk-able urban environment, the smaller block sizes also allow for greater architectural variation and for the preservation of the local cultural identity. Using the multi-layered urban typology as a prototypical device is possible to generate different arrangements and outputs accorting to the functions that are overlapped. This urban prototypical “island” is composed by a service platform and aerial levels. The service platform is structured along a central stem where all the systems for the treatment and collection of goods are placed. Moreover there is space for the location of the industries and the car parkings that, with their requirements in term of size, light and ventilation, will inform the design and the distribution of the higher levels. The aerial levels host public spaces, commercial areas, offices and the different house typologies. According to the plug-ing inserted in the service platform is possible to recognize three different configurations of the urban “island”: high with large scale industries and car parks, medium with middle scale industries and car parks and low with only car parks. The distribution and the next alteration of these basic prototypes will be done according to the different istances of the territories and the location inside the urban area. URBAN PUG-INS / mixing functions for the creation of the multi-layered urban typology. PARAMETHERS FOR THE URBAN DENSITY / Translating the principles of landscape urbanism into physical form relies on the use of parametric processes. By manipulating a set of parameters, which are ecologically driven, varying degrees of housing density are generated, yielding optimized open space networks. URBAN DENSITY MAP / the result of the overlapping of the different paramethers that show the distribution of the dwellings densitity inside the new city. The basic size of the urban neighborhood of 5000 people is re-arranged through this distribution. DIAGRAMMATIC PLAN OF THE THREE PROTOTYPICAL PLATFORM / variation in the distribution of the ponds according to the typology of the platform. APPLICATION OF THE RULES / the location of the network of celaning ponds inside the city area. INDUSTRIES DIMENSIONAL REQUIREMENTS / it is possible to recognize three main sizes of industrial building according to the production typology. The diagrams show the dimensions and the ratio between the different parts (offices, storage area, production area, track entrance, track parking) and the changing in the size if it is needed an expansion. DIAGRAMMATIC PLAN OF THE THREE PROTOTYPICAL PLATFORM / the subdivision of the islands according to the different size of the industries and the car parkings. In yellow the courtyards for the ventilation and the illumination. APPLICATION OF THE RULES / the longitudinal connection lines in the real map. DIAGRAMMATIC PLAN OF THE THREE PROTOTYPICAL PLATFORM / the lines shown in the plan are the different longitudinal connections (path, publc alleys, roads, private gardens) recognisible in the sections on the left. HIGH ISLAND CROSS SECTION / the higher service platform typology allows the collocation of large scale industry (max storey high: 12m) in its back part and car parkings in the front area. These are serviced by two different road networks, avoiding the traffic congestion. On the aerial level, the house typology could variate from patio to terrace houses. MIDDLE ISLAND CROSS SECTION / the middle service platform typology permits the collocation of middle scale industry (max story high: 8m) in its back part and car parkings in the front area. Because the platform is lowered of one level there are some variation in the longitudinal connections (private gardens of terrace houses becomes public path) On the aerial level, the house typology could variate from low to step terrace houses. LOW ISLAND CROSS SECTION / the lowest service platform typology hosts in its body only car parkings in the back part, allowing a larger fragmentation of the front area at the ground level. The longitudinal connection become wider and characterized by larger green spaces. On the aerial level, the house typology could variate from terrace houses to high rise buildings. DISTRIBUTION / the longitudinal connection lines in the real map. DIAGRAMMATIC PLAN OF THE THREE PROTOTYPICAL PLATFORM / the lines shown in the plan are the different longitudinal connections (path, publc alleys, roads, private garens) recognisible in the sections on the left. patio houses 1 124 FROM THE SIMPLE TO THE COMPLEX / the iteration and the combination of the typology to create an urban neighborhood. The first, lower dense typology, is the patio house that is proposed in two different sizes. It is characterized by two storeys with large living room on the second one facing south and the private garden in the groun level. PATIO HOUSES 1 / axonometric view and main cross section of the typology and of the neighborhood. THE TYPOLOGY AND THE PLATFORM / the distribution of the houses on top of the service platform to create the complexity of the urban environment. patio houses 2 126 FROM THE SIMPLE TO THE COMPLEX / the iteration and the combination of the typology to create an urban neighborhood. The second typology of patio houses is obtained by the combination of two basic elements: a L shape cell in the ground level with its central patio and a two storey patio house on the first level. This distribution allows a higher density, maintaining the presence of private open spaces. PATIO HOUSES 2 / axonometric view and main cross section of the typology and of the neighborhood. THE TYPOLOGY AND THE PLATFORM / the distribution of the houses on top of the service platform to achieve the complexity of the urban environment. terrace houses 1 128 FROM THE SIMPLE TO THE COMPLEX / the iteration and the combination of the typology to create an urban neighborhood. This typology of terrace houses is suitable to create gentle urban slope facing north. The opening of private patios allows a good solar gain for the large living rooms placed in the second level of the houses. The commercial areas and the offices are placed below the slope and they face south and the main public alley. This public spaces have their own open areas on the north side between the houses, creating in this way a mixed distribution of public, semi-private and private gardens. TERRACE HOUSES 1 / axonometric view and main cross section of the typology and of the neighborhood. access paths terrace houses THE TYPOLOGY AND THE PLATFORM / the creation of the urban slope: complexity in the connection and integration fo the open spaces between houses and offices. terrace houses 2 130 FROM THE SIMPLE TO THE COMPLEX / the iteration and the combination of the typology to create an urban neighborhood. This second typology of terrace houses is designed to face south, allowing the placement of commercial areas and offices below them, on the north side. The frame of the houses is not completely compact but allows the opening of gardens and open spaces for the other functions on the south side. high rise 132 FROM THE SIMPLE TO THE COMPLEX / the iteration and the combination of the typology to create an urban neighborhood. VOLUMES COMBINATION / the flipped structure of the two typologies of high rise buildings, their relationship, their own garden and the entrance path. The high rise typologies, that together combined, create the towers are a basic cell with a double storey space on one side. This L shape of Le Corbusier memory, has the distribution path in the core and allows the creation of gaps of different sizes between the cells. In this way it is possible ot create as small, private gardens as large open public spaces in the width of the building. HIGH RISE / axonometric view and main cross section of the typology and of the neighborhood. public alley commercial area THE TYPOLOGY AND THE PLATFORM / the combination of the cells in different high allow the creation of variegated and fragmented high rise buildings. THE NEW CITY MASTERPLAN / the urban development as the ultimate intensification of the landscape infrastructures. II LAYER / large storm water ponds along the main spine and the series of little grey water ponds. I LAYER / main roads network, fields structure, industries. IV LAYER / secondary road network: platform streets and path, connections between the different parts of the city. 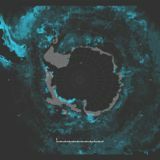 The journey through the different scales that composed the complexity of the urban environment reaches his furthest point with a close view at the orgnaization of the urban “islands”. We selected a portion of the city where the three different typologies of platforms (high, medium and low) are closed and create and interesting urban space that deserves a better description and analysis. THREE URBAN “ISLANDS” MASTER PLAN / a top view of the urban environment among the three different typologies of service platform: the water infrastructure, the green open spaces, the multi-layered paths and the house typologies. SECTION 1 / cross section through the core of the high platform: the central infrastructural stem, the industry area. On top of them the public spaces and the terrace houses facing the water pond. V LAYER / the service platform different levels and the linear rows of terrace houses on the south side. IIIV LAYER / the constellation of the private open spaces: gardens, rooftop terraces and patios. SECTION 2 / the relation between the high and middle platform: common spaces and the large public space enriched by the water pond. SECTION 2 / the relation between the high and low platform: high rise buildings and dense patio houses. HIGH PLATFORM ASSONOMETRY SAMPLE AND STRUCTURE / combination of the two different typologies of patio houses. URBAN PERSPECTIVE I / the environment in the high service platform with the combination of the two typologies of patio houses. HIGH PLATFORM ASSONOMETRY SAMPLE AND STRUCTURE / terrace house and public areas. URBAN PERSPECTIVE II / the environment in the high service platform with the first typology of terrace houses that creates the gentle residential slope on top of the commercial and offices area. MIDDLE PLATFORM ASSONOMETRY SAMPLE AND STRUCTURE / second typology of terrace houses and public spaces. URBAN PERSPECTIVE III / the environment in the middle service platform with the second typology of terrace houses. LOW PLATFORM ASSONOMETRY SAMPLE AND STRUCTURE / high rise building urban frame. URBAN PERSPECTIVE IV / the environment in the low service platform with the high rise buildings. The building of the urban environment through the years will carry the transformation of the territory from the current agricultural situation to a stage where the urban development would be the main character. It is of the main importance to better understand the different phases along this process also in the detailed scale of three urban platforms. The embedded feature of this urban prototype is the possibility to be subdivided in autonomous parts that can be built in different times. The flexibility of the system is mainly due to the cell nature of the waste treatments and their indipendence. That means that the central stem of the service platform could be entirely built and work as an unicum or built in separated parts and functions in sub-levels. In this way the urban process that we are proposing can stop at any stage, guaranteeing in the same time a perfect functionality of the overall system. SERVICE PLATFORM / settlement of the large and medium scale industries along the perimetrical roads of the fields. PATHS NETWORK / the primary mono-rail line through the platform closer to the center of the city and the system of horizontal and vertical connection to link the different levels of the ground. PLATFORM HOUSES / the long rows of terrace houses along the ponds side of the platforms. They blend the difference in the levels of the ground. AERIAL LEVEL / the development of the high level through the different house typologies according to the city overall density distribution. FIRST PHASE / the urban development starts with the building of the service platforms along the edges of the fields and in the areas close to the central green spine where are located the storm water ponds. SERVICE PLATFORM / expansion of part of the previous industrial areas and building of new service platforms. PATHS NETWORK / extension of the road network both on the ground and on the platform level. PLATFORM HOUSES / new sections of terraces along the platform and addition of a new level on top of the existing ones. SECOND PHASE / the second step in the urban development is characterized by the building of new indipendent parts of the service platform along the main river. This is possible due to the creation of new hubs for the treatment of the waste water. The fields surface starts to be fragmented and alternated with the urban fabrics. SERVICE PLATFORM / the last development of the service platform fills the remaining spaces between the previous parts. The industries reach the maximum size. PATHS NETWORK / intensification in the horizontal and vertical connections in order to create an entire integrated infrastructural system. PLATFORM HOUSES / last fragments of terrace houses along the platforms edge. AERIAL LEVEL / densification of high rise buildings in the residential platform closer to the center of the city. THIRD PHASE / in the third step of the urban development the platforms will reach the maximum extension, joining different sections that in the previous phases were more isolated. The agricultural surface is reduced in patches around the core areas of the neighborhoods, but still well connected with the other fields on the other side of the river. Also in the last phase of the urban growth the city would maintain a strict link with its productive land. EXTREMES SCENARIOS / the urban planning is not a perfect science and Hilberseimer well claimed that cities are always in a state of transition and that main problem of the designers is to shape this transition towards a desired end. Unfortunately, future is not easy predictable and all the plannersâ&#x20AC;&#x2122; scenarios and ideas c ould be destroyed in a moment by the turbolence of the economical market or by a natural disaster. Therefore, it would be interesting to challenge the urban proposal, testing it in two extremes situations in order to understand if it would have enough strenght to maintain its identity and nature. By questioning the traditionally disconnected relationship between agricultural producing rural areas and consumptive urban areas, the project recodes the current Chinaâ&#x20AC;&#x2122;s master plan of Huairou new city according to the predicted population density and future urban expansion. The project brings together agricultural patterns and layered infrastructure systems to create a new, multimodal urban fabric. The landscape provides inspiration for the design of the new city and infrastructure performs as a connective tissue that brings together disparate element. The project investigated the viability of urban agriculture to provide on-site resource production by creating complex, robust urban ecosystems. And through the implementation of water management networks and agricultural fields, the master plan articulates a new typological metabolism for the city, transforming parts of the rural areas into a productive landscape and establish a self-sufficiency regarding food production while simultaneously integrating water recycling systems into the agricultural infrastructure. The infrastructure systems created for agricultural process can serves as a framework for new urban typologies which explore the urban block as a selfsufficient unit. The ecological framework integrates transportation of both regional and local scale, the harvesting, treatment and redistribution of wastewater and rainwater, and the production, collection and distribution of agricultural products. The horizontal infrastructure typologies could form a public urban platform that is capable of supporting different kinds of vertical building typologies with multiple urban functions. Rainwater run-off and wastewater from adjacent neighborhoods are fed into the treatment ponds and constructed wetlands, making the water and nutrient resources available for agricultural cycles of cultivation and restoration, and the harvested crops are made available to the public. The horizontal ecology and the vertical economy enter a symbiotic urban metabolism that is calibrating the consumption of the new urban fabric with its potential for production. The vertical densification of the plot is interdependent with its horizontal expansion.